Epic Landscape is a full service landscape maintenance company serving the entire valley. All of Epic Landscape employees are covered by general liability and workmen’s compensation insurances. 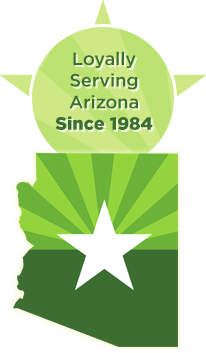 Epic Landscape carries all necessary licensing required by the State of Arizona in regards to pre and post emergent herbicide applications. Epic also holds a special license for turf and ornamental applications as well. Our applicators have undergone extensive training by the state and complete continuing education requirements annually.